You may seek to obtain services (of one of our ) by-way-of one or more of our communications platform(s) - doerservices.com (when going online); one of our (telecommunication) telephone numbers; or in person (at a center, or by reaching our to a physical person). Seeking to Find something (lost perhaps)? You may "POST A LISTING FOR A (DO)ER" to find something for you or someone else. Posting are $3.00 USD. Each event; day and location within a listing constitue a seperate $3.00 USD cost. So, if you have two events on the same day, then to reachout via one posting with 2 events, or two seperate "POSTINGS" with one event each, will cost $6.00 USD. If there is a reward or the like, you pay them directly, NOT US. We only receive the posting fee for our part when you place your listing. 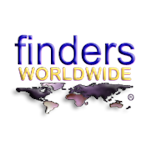 like having an actual person (one of our Finders Worldwide ) physically assist in finding someone; something, or someplace according to your posting. You may wish to have the user contact us, and not you directly. I) - Here, usually, taskdoers work for the amount you post on your listing - minumum wage and up. 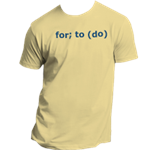 You may "POST A LISTING FOR A (DO)ER" to find something for you or someone else. Posting are $3.00 USD per event per day and location. So, if you have two items to be found, then to reachout via one or two "POSTINGS", will cost $6.00 USD. II) - Here, usually, taskdoers work for not less than $10.00 USD per half hour and up. By placing a "REQUEST" via our "Quick Request". Here, usually, taskdoers work for not less than $10.00 per half hour. III) - Here, usually, For; to (do)ers work for not less than $10.00 USD per half hour and up, plus an extra $10 USD per hour for having a For; to (do)er on the job.